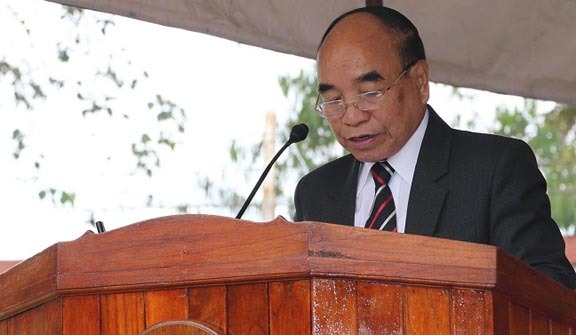 Mizoram chief minister Zoramthanga on Tuesday presented the vote on account amounting to Rs. 3,588.85 crore at the ongoing State Assembly session. The session which started on March 12, 2019 will conclude on Wednesday. The vote on account, which has been presented, will cover the necessary expenditures of the first four months starting in April till July 31, 2019. The Mizoram chief minister, who is also holding the finance portfolio, said he has not been able to present a regular budget due to the enforcement of the model code of conduct for the upcoming polls. He said that Mizoram was witnessing significant progress in terms of economic and social progress with the GSDP projected to be at Rs 22,238.92 at current price at a growth rate of 12.5 per cent. Zoramthanga also presented supplementary demands for grants for the current financial year amounting to Rs 2,926.55 crore and also sought regularisation of excess expenditure of Rs 813.76 crore for 2012-13 to 2015-16. He said the the supplementary demand has come to such amount due to expenses required for the New Economic Development Policy (NEDP), NABARD loan, CSS projects, and additional requirement on account of 7th Pay revision, power purchase, cost of water pumping, conduct of elections and others. The discussion and voting on vote on accounts and supplementary demands will be held on Wednesday.